One State Solution & Two State Solution? - Retrospect . One State Solution & Two State Solution? One State Solution OR Two State Solution? The problem with the One-State & Two-State is that in both ways Israel loses its grounds& Palestinians wins – Israel’s survival is only in a No-Solution & in permanent chaos. In One State Solution Arabs &Israelis will have equal citizenship & equal rights for all inhabitants of all three territories, without regard to ethnicity or religion? In such case Israelis will lose a majority which they are enjoying right now. On the other hand, with Muslim majority the Palestinians may have ‘the possibility of Jews/Muslims/Christians living under the sovereignty of an Islamic state’. In Two-State-Solution, according to UN Israel will go back to 1961 borders. 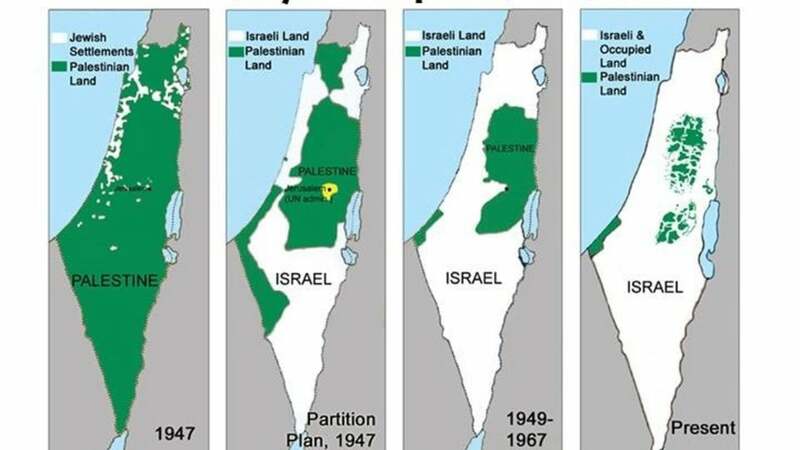 Realizing that Israel would perhaps never return their land, it would be practical for the Palestinians to look towards a half-Palestine where at least they would be able to live with dignity &freedom. Two real separate states would mean that Palestine would be able to keep an army, make diplomatic ties with other nations, pursue its own economy and perhaps in time come at par with its oppressor, Israel. In the Two-State-Solution Israel would no longer be able to make highways through & through Palestinian land or control its people at check-points nor humiliate them nor enter their properties at will – such inhuman practices would have to be forsaken by the Israelis. Moreover, Palestine would be in control of its own waters and maritime affairs, it may also lay claim of the newly discovered oil-rigs adjacent to its coasts. And most of all the Two State Solution would permanently bar the Jewish dream of ‘greater Israel’ the boundaries of which go much beyond even the whole of historical Palestine. Any true solution is based on equality, freedom and equal rights & until Israel is willing to give up out-right oppression, there will be no solution.